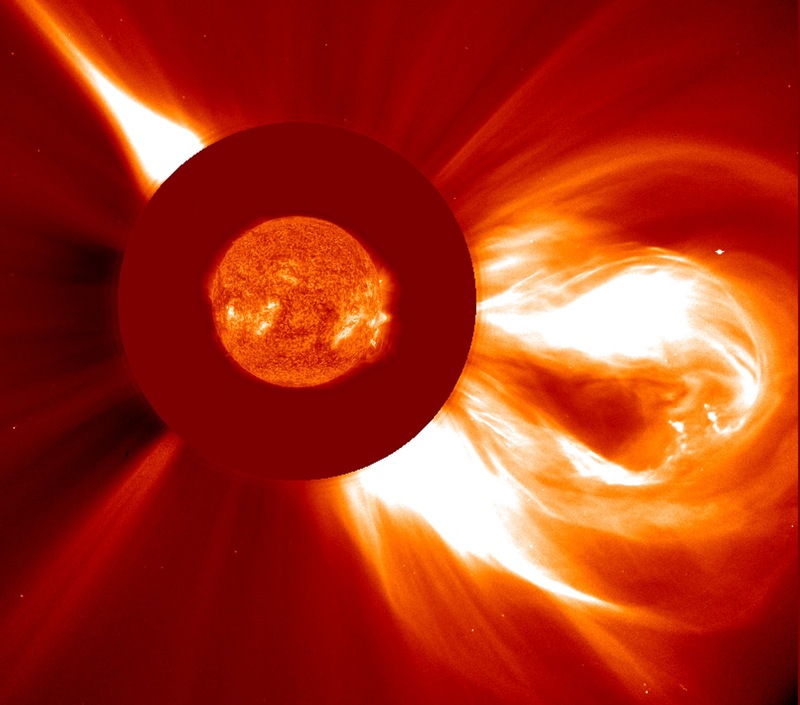 A large coronal mass ejection ejects a cloud of particles into space on 2 December 2003. In this composite an EIT 304 image of the Sun from about the same time has been appropriately scaled and superimposed on a LASCO C2 image where a red occulting disk can be seen extending around the Sun. This LASCO coronagraph instrument allows details in the corona to be observed.